A bill that would create a new funding priority for military dependents with developmental disabilities was given first-round approval Feb. 28. Current law specifies a hierarchy of funding priorities for disability services in Nebraska under the Medicaid home and community-based services waiver. For example, the first funding priority of the state is responding to the needs of persons with developmental disabilities in immediate crisis due to caregiver death, homelessness or a threat to the life and safety of the person. 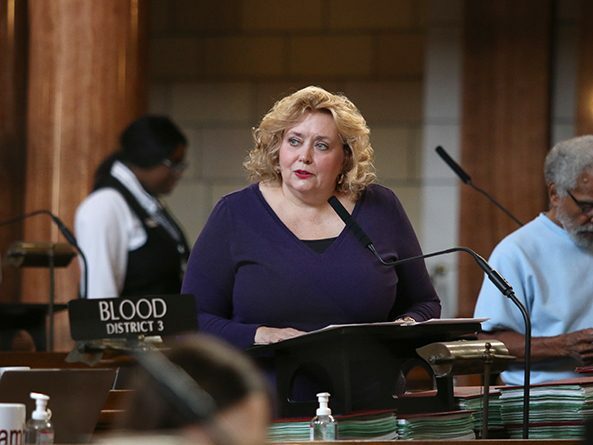 LB685, sponsored by Bellevue Sen. Carol Blood, would allow dependents of a member of the U.S. Armed Forces who is a legal Nebraska resident due to the service member’s military assignment in the state to become the fifth priority. The bill is estimated to impact only one or two families per year, Blood said. She said that everyone in need of waiver services in Nebraska starts out at the bottom of the list and moves up in accordance with the severity of their need. Placing military dependents into the fifth position would keep them from always being at the bottom of the list, Blood said, since military families move so frequently and must start over in each new state. 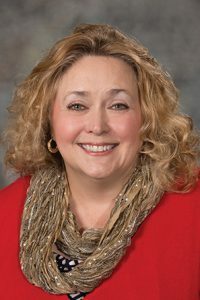 Bellevue Sen. Sue Crawford supported the bill, saying it would send an important message to military families while maintaining the state’s priority to serve individuals with the highest need first. Higher priority still would be given to individuals transitioning from high school to independence, wards of the state and others, she said. Omaha Sen. Bob Krist, a retired U.S. Air Force pilot, also supported the bill, which he described as a reasonable accommodation to help ensure that military families reach a minimal level of developmental disability services. The measure also would demonstrate Nebraska’s commitment to military families, he said, an important factor when the Department of Defense considers potential base closings. “The military is always watching to see which states treat their DOD people the best,” Krist said. The bill advanced to select file 37-0.